The Friends' Group was formed in 1989, by an enthusiastic group of local residents who work with Cardiff County Council to further improve the Reserve. Works continue today to develop Howardian Local Nature Reserve for its wildlife interest and public enjoyment. Friends of Howardian LNR have developed and maintain this website. Long serving Friends' Group members have local roads named after them. 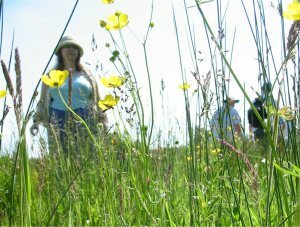 Volunteer to help run and preserve the reserve. 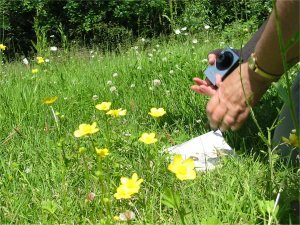 During June each year a walk is organised so people can see the Orchid species growing in this urban nature reserve. 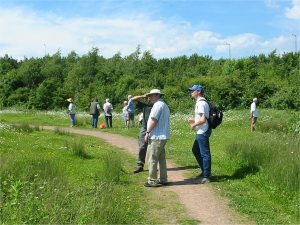 The walk is conducted by the Friends of Howardian Local Nature Reserve meeting at the David Lloyd entrance on Ipswich Road. Orchid Walk 2013 is on Saturday June 22nd from 2.00pm - 4.00pm. Ipswich Road entrance. Each year people are invited to come along and join in with the annual Hay Rake at Howardian LNR. All are invited to join in this fun activity. Tools and refreshments are provided. Suitable clothing and sturdy footwear need to be worn and all children must be accompanied by an adult. Meeting point David Lloyd entrance on Ipswich Road. Check back for details of future Conservation Mornings and please contact us if you would like details of other work parties.